Reporting on developments in Kobani from the Turkish-Kurdish border town Suruc. Not too many years later, I chose ‘Amnesty International’ as the topic for a presentation that I had to do in class. Cats, dogs and guinea pigs were just not my cup of tea. I never really lightened up. I can’t even chat. That is, I think, one of the reasons why Kurdistan suited me from the first day I decided to live and work there in 2012, after already having travelled to the region many times. In Kurdistan, it’s always about politics, about the Kurdish struggle, about history, identity, law and human rights. I am glad Kurdistan is bigger than the part that is situated within Turkey’s borders. After all, this enables me to continue my work as a Kurdistan reporter after, in September 2015, Turkey expelled me because of my journalistic work. In the summer of 2018, I will settle in Suleymanya, the second city of the Kurdistan Region in Iraq. On this website, you hardly find any publications from 2017. This is because between May 2016 and June 2017, I was researching my newest book and didn’t have enough internet access to publish stories. In the second half of 2017, I concentrated on writing the book, that was eventually published in May 2018. 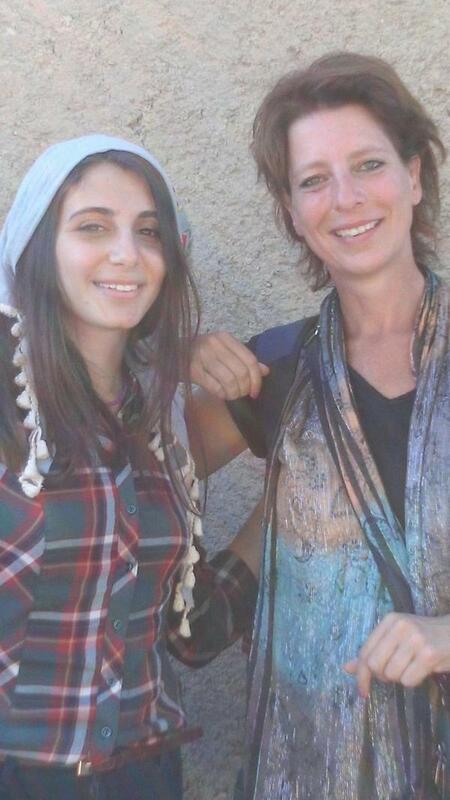 Between summer 2012 and early September 2015, I was the only foreign journalist permanently based in Diyarbakir. I worked for a wide range of Dutch media, both print and radio, and increasingly for foreign media in Belgium, the UK and the US. Luckily, my expertise and my 25 years of experience in journalism (I count my first adult publication in 1990 as the start of my career ;-)) helps me to continue doing that, even though I am now mostly based in the Netherlands. What I love doing most, is writing what I call ‘feet in the mud’ stories. I have always travelled extensively in Kurdistan. I think being on the ground, seeing stories with your own eyes and walking the paths that the subjects of your stories walk, is the core of journalism. It leads to the best stories. I mean stories that reflect the reality as the people live it. Not stories written from a newsroom that only include two sides of a story and leave the reader in the dark about what is really happening. A good example is this story about Kurdish YPG fighters from Kobani being treated in state hospitals in Turkey, published in the Independent. Or this one about Kurds and Armenians reconciling at the centennial commemoration of the Armenian genocide – it’s more telling than yet another story about Turkey’s denial of the genocide. 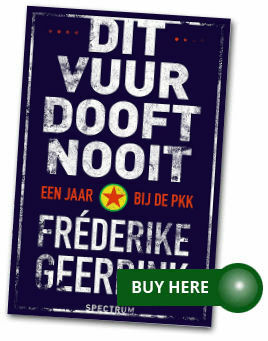 Also my book about the Roboski massacre, published in Dutch, English and Turkish, is a good example of this kind of journalism: without having travelled again and again to the village where the massacre victims were from, I wouldn’t have been able to get the insights that I needed to write this tragic story. Please visit the archives for loads of other stories. Work that was published in Dutch media has been re-published in English on Beaconreader.com, a crowdfunded site that unfortunately stopped its activities in November 2016. Ever since, I publish in English on Byline.com, which is also crowd funded. You can support me there financially by clicking the ‘Support this column’ button on the right hand side of the page. Check it out here! I do radio as well. I made many items for Dutch public broadcaster NTR and continue to work for a wide range of Dutch radio shows, including those considered to be the best on Dutch radio, like Met het Oog op Morgen, De Nieuwsshow, Bureau Buitenland and Spijkers met Koppen. For these programmes, I comment on current affairs in Turkey and the Kurdish issue, including developments concerning the Kurds in Syria. I have worked extensively for BBC World Service, and have continued to do so occasionally after my expulsion from Turkey in September 2015. Since September 2015, I have increased my analysis and op-ed writings, and I regularly give lectures about Turkey and the Kurds and about journalism. Since May 2016, I am working on my next book and I publish less, which you will sure understand when you check out the details of the project here. Do you follow me on Twitter already, like more than 40K others? I stay on top of the news in Turkey and Kurdistan for you there, and of course I tweet my latest publications. And here’s my FB-page!